Grew up… in coal mining country, where he learned the virtues of hard work and dedication. Gibbs studied hard in high school, but chose to become a Marine rather than go to college. He’s served with pride ever since. Living… by a strict code in Washington, D.C. Gibbs lives by his list of 50 rules, which range from “Always work as a team,” to “Never mess with a Marine’s coffee, if you want to live.” He makes sure to teach his teammates the most important ones. Profession… special agent for the Navy Criminal Investigative Service (NCIS). Gibbs took the skills he learned as a U.S. Marine – including his precise sharp-shooting – and applied them to crime investigation. 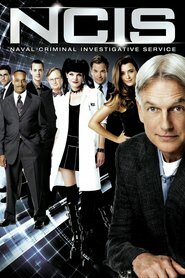 Gibbs and his team are in charge of some of the Navy’s most important criminal cases. Relationship Status… remarried. Then divorced; then remarried; then divorced again. Gibbs hasn’t been able to find lasting love since the death of his first wife, Shannon. She left a hole in his heart that can’t seem to be filled by any other woman. Challenge… finding the sense of retribution that he’s been searching for. Gibbs joined NCIS after drug cartel member Pedro Hernandez killed his first wife and daughter. Gibbs has made it his life’s mission to hunt down and bring criminals like Hernandez to justice. Whether that will ever bring him peace remains to be seen. Personality… quiet, stoic, and intimidating. Gibbs, a recipient of both a Purple Heart and a Silver Star, will never be caught bragging. He’s a strong, silent type who takes pride in doing his job, not talking about it. He doesn’t show many emotions, though his teammates, especially Abby, sense a deep emotional bond with him. Leroy Jethro Gibbs's popularity ranking on CharacTour is #1383 out of 5,000+ characters. See our top-ranked characters and read their profiles.